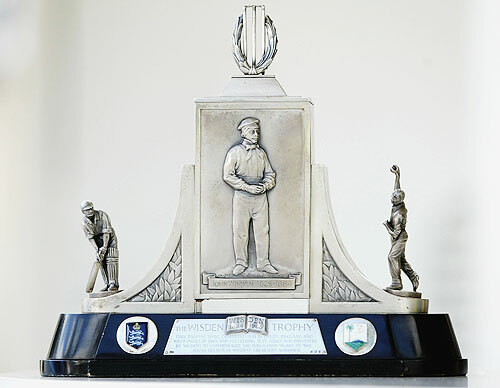 Readers of The Cricketer's Almanack in 1864 could study the phases of the moon, the dates of the English Civil War and the past winners of the Oaks, the Derby and the St Leger. Of more pressing relevance to those attracted by the second word in the title of the new publication was the warning that fielders stopping the ball with their hat would automatically incur a five-run penalty. And in an acknowledgment that gambling had been part of their game since its inception, readers were told that umpires were not allowed to bet. The primary purpose of an unpretentious little volume, costing a shilling with a penny postage, was to collate the statistics of a bat-and-ball game between teams of varying numbers which was evolving into the summer game of the British Empire. 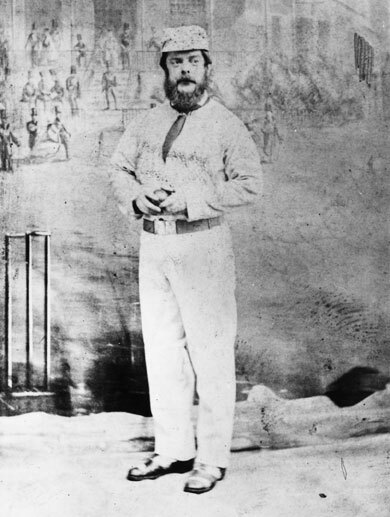 In 1869, the possessive apostrophe was shifted one space to the right and the following year the founder's name was added to create John Wisden's Cricketers' Almanack. It survives today in its 150th edition, enclosed by the familiar primrose cover, as Wisden Cricketers' Almanack. Cricket's enduring attraction is due in large part to its statistics, faithfully recorded each year by Wisden and similar in importance to those in baseball, which shares a similarly distinguished literary heritage. Wisden, through its editor's notes, has developed into the custodian and conscience of a sport which during the late Victorian era was made to carry more moral weight than any game can usefully bear through such strictures as "playing a straight bat". Lawrence Booth, the publication's youngest editor for 72 years, faces the challenge of maintaining its authority and importance at a time when the internet and social media are transforming the journalistic and publishing worlds. Booth, 38, said in an interview his task had been to take the annual, which he is editing for the second time, into the next phase of its evolution, particularly since the arrival of the wildly successful Cricinfo website. "By that I don't just mean having a Facebook and Twitter page, all those kinds of things, but respond to the challenge posed by the fact that Cricinfo can update its statistics by the second and here we are an annual where some of the statistics are out of date even before we publish them," he said. "So it was really managing that transition, trimming down the records section, moving more of those to our website but also the flipside of that was beefing up the literary side of Wisden," added Booth. "We reminded people that a lot of good stuff to read in there was not just the records of a statistical book but that in an age of instant comment, I guess, it still has an important role to play in being able to step back like the authoritative voice it always has done. "So it was a bit of building on that tradition while also responding to the internet demands of the day." 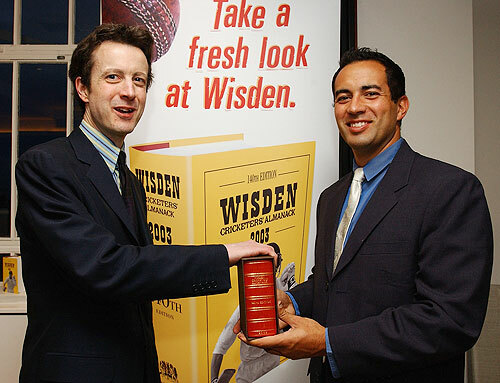 Wisden has always served as an invaluable social history of class-obsessed Britain and a repository of some of the finest writing on the game. Sometimes it is both. The editor's notes for the 100th edition in 1963 at the advent of the swinging 60s did not welcome the abolition of the distinction between gentlemen (amateurs) and players (professionals). "Beyond a Boundary" by the Trinidadian Marxist CLR James, published in the same year, was acclaimed in Wisden by the peerless English radio commentator and writer John Arlott as the finest cricket book ever written. This year's edition contains a remarkable piece by Christian Ryan entitled "The Fastest Spell of All? ", detailing how a grouchy and hungover Jeff Thomson ripped an opposition side apart, at times literally, in a Sydney club match. Book of the year is "Bookie, Gambler, Fixer, Spy" by Ed Hawkins, a compelling if consistently depressing account of the illegal cricket gambling industry on the Indian sub-continent. 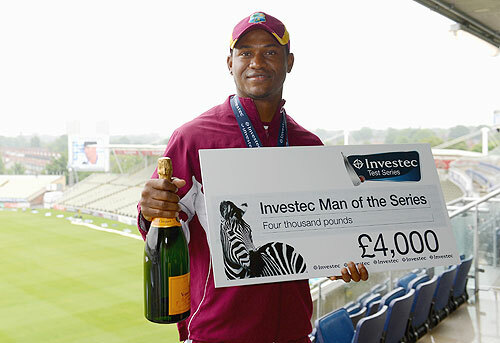 South Africans Hashim Amla, Jacques Kallis and Dale Steyn, West Indian Marlon Samuels and Englishman Nick Compton are the five cricketers of the year. 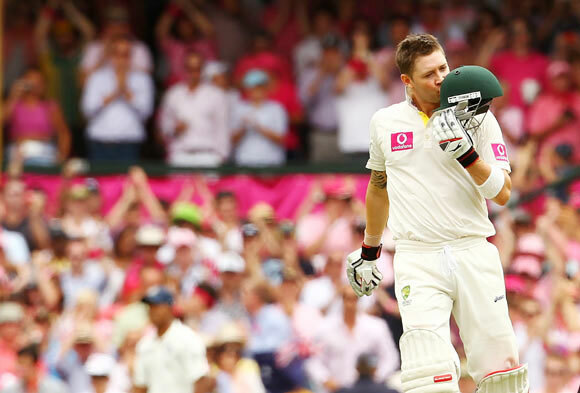 Australian captain Michael Clarke, who will lead his country in this year's Ashes series in England if his chronic back complaint permits, is the international cricketer of the year after four Test double centuries in 2012. Booth's task is both to edit a publication and write editor's notes which will stand the test of time. "It's slightly frightening," he said. "I could write precisely the same thing in the Daily Mail (newspaper) and no one would bat an eyelid. "But the moment it appears in the Wisden notes it's international news. You're aware this stuff will be pored over. "You're looked at as the conscience of cricket in a way, you care for the game and you're always looking out for it. "And of course your judgment might be proved wrong within months. The trick is to not fall into that trap, to be conscious of the hostages to fortune, because Wisden is one massive hostage to fortune. So yeah, it's a privilege but a scary one."